I didn’t post a single post in August; geez! I have a legit excuse, I swear. And it’s that I couldn’t think of a single thing to post that didn’t feel like I was lying, while I hid my super great but still on the down-low news with the world. Friends, we’re having a baby! Baby B’s due date is February 6, 2014. We are so excited!! So, my summer hasn’t been the sangria-and-spray-paint party I had planned on post-graduation (what? I have a backlog of projects in the queue!). It’s been napping and relaxing at home, and struggling to make it through those long, long days at the office. 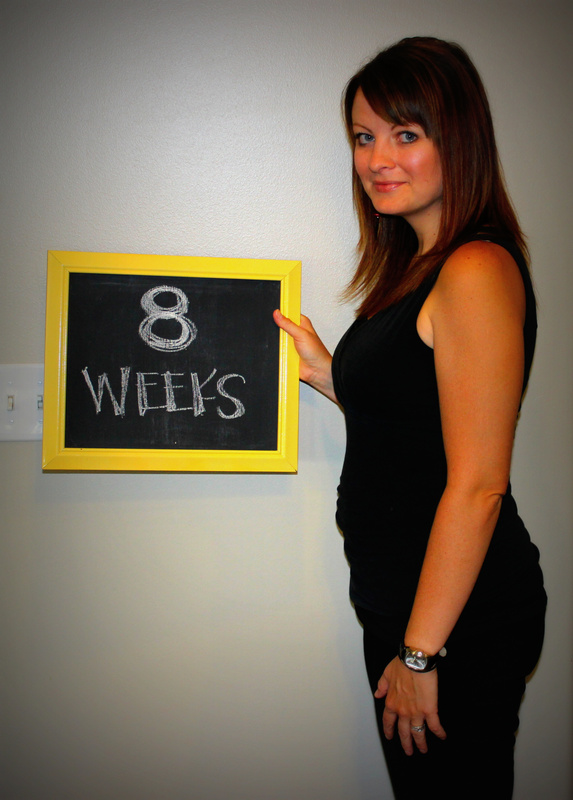 I’ve never known tired (and insomnia) like a first trimester. But I haven’t been sick, so I have kept my complaining to a minimum to other moms and moms-to-be! We’ve been taking progress pictures and while week-to-week they don’t seem to change a lot, I’ll share some month-to-month shots and get you up to speed. 8 weeks. As you can see I was already working with a little bit of a carb-belly to begin with, so this is as good as pre-baby body was close to the pregnancy. This was a fun stage because no one knew but Jonathan and me, but it was really hard to keep it from family simply because we were so excited! We wanted to wait until month 3 when the riskiest stage is over before we told close friends and family. 12 weeks – the beginnings of the awkward phase where I didn’t look pregnant (which is good because I was still hiding it from most people), but was definitely looking thicker. This was the same tank from week 8 but I filled it out totally weird. This is when we told our families and a few friends the news. I’ll tell the announcement stories a little later because they are pretty fun! 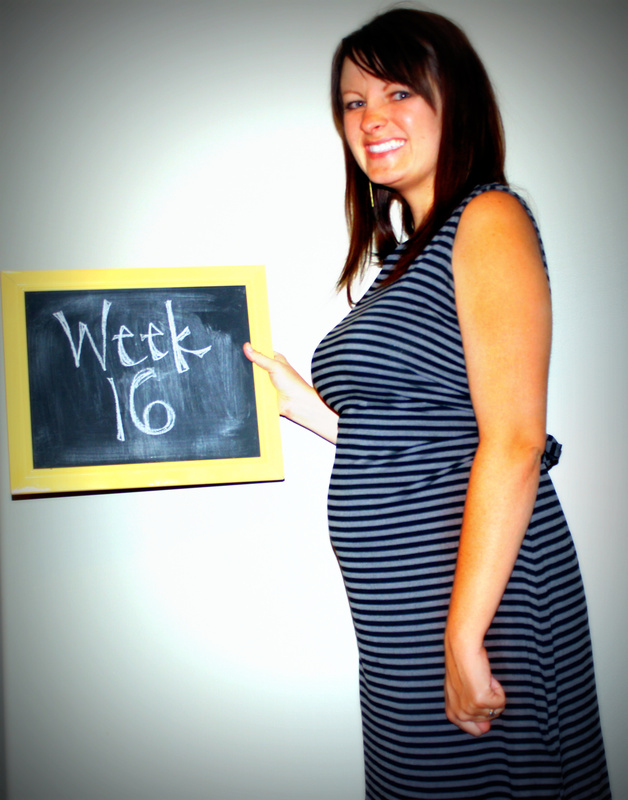 Here’s week 14 when the belly just popped up overnight! I even felt it itching when I was trying to sleep. I texted this picture to my mom, sister-in-law, and cousin. My sister-in-law and cousin are also pregnant – we are all due in February! So it’s been a BLAST sharing all the joys and challenges and fears together. It wasn’t planned to go through this with my brother and his wife but I can’t imagine NOT at this point. It’s made it so much easier! 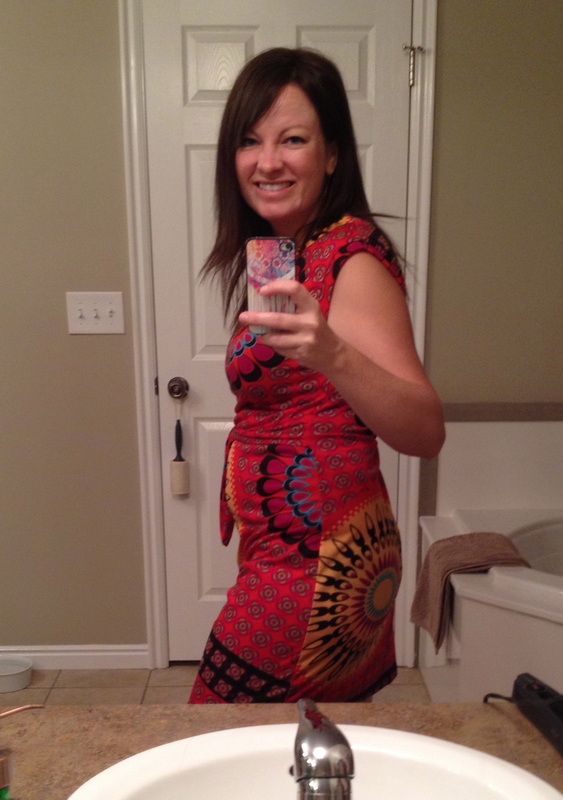 16 weeks – No denying anymore. The grin… I don’t even know. Posing for pictures gets boring. And then the least blurry one ends up being the one where I make this face. Of course. This dress is a legit maternity dress from Target and I love it. I busted out the maternity clothes a bit earlier than completely neccessary because they are just SO much more comfortable. I can’t wait for fall layers and I can dress the bump in cuter stuff! That is WONDERFUL news – Congratulations!! I don’t remember seeing this on the 30 Before 30 list, but it is a splendid addition! And not to worry, I will drink sangria for two. February 6 sounds like a good birthday to me; we’ll just see how close we get to that. Awww – yay & congrats!! OMG! So excited for you! I’ve been a reader for a few years now and I’m so excited to see your life take this awesome turn! Your “motherly glow” is totally noticeable in that Week 12 pic! Can’t wait to hear more about your experiences! Next Next post: nursery ideas.